Netherlands is a country where the impossible have been realized throughout its history and can be experienced in everyday life. About 70% of the country is supposed to be at or below the sea level which gives its name, which literally means 'low country'. Thus most of the area is man-made and literally lifted from the sea by dikes, dams (which resulted in the names of many Dutch cities ending in 'dam') and currently the marvel of modern engineering, the Zuiderzee and Delta Works. But this is not where the people of Netherlands cease to amaze. 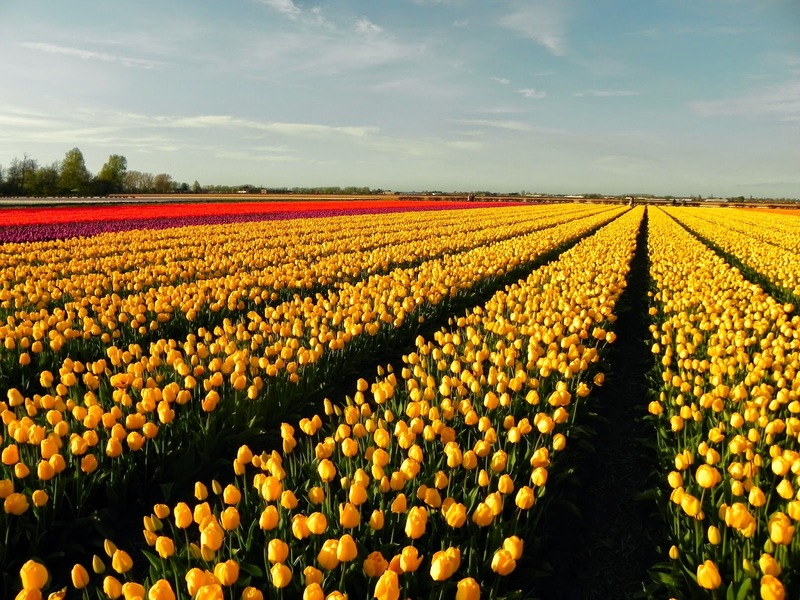 Netherlands is sometimes called the 'flower shop of the world' and can boast to be the proud owner of the world's largest flower garden, the Keukenhof and would you be impressed if I told you that it lies a meter below the sea level. If not then I must say that the tulips which is now almost synonymous to this country and vice versa was not meant to be here. 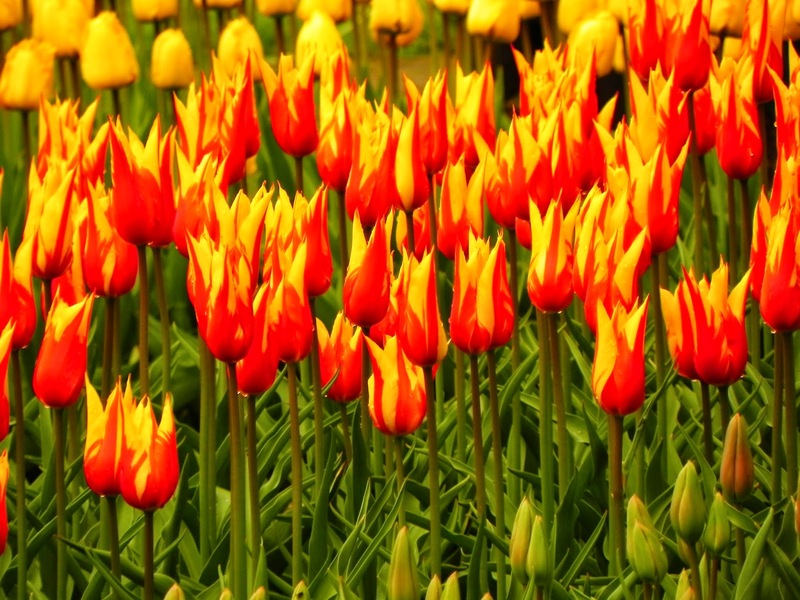 Originally cultivated in the Ottoman Empire, tulips were imported into Netherlands by Carolus Clusius in 1594. 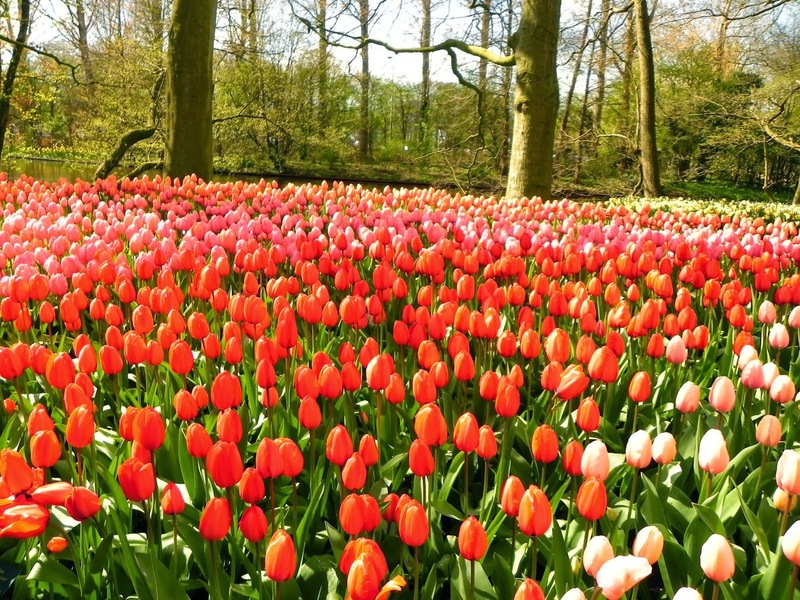 Between 1634 and 1637, the enthusiasm for the new flowers triggered a speculative frenzy now known as the tulip mania and tulip bulbs became so expensive that they were treated as a form of currency. 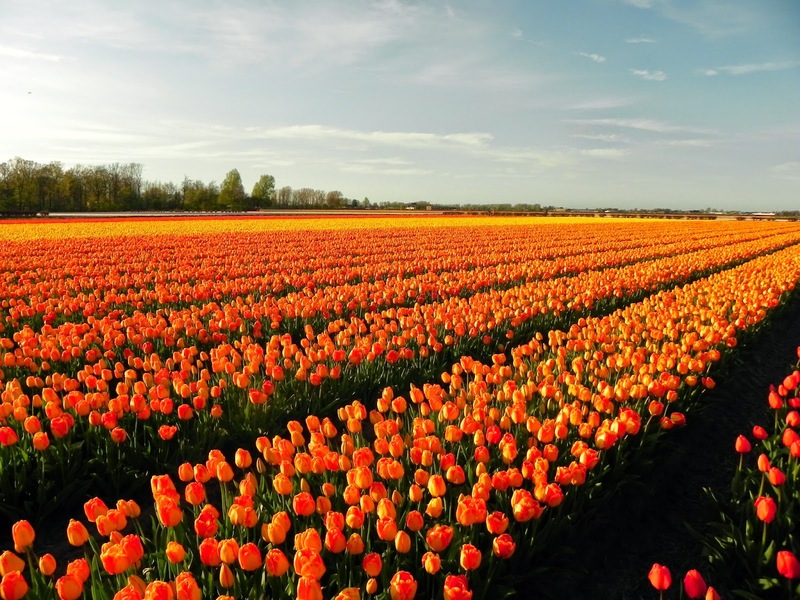 Currently Netherlands in the largest exporter of tulips and it is grown almost everywhere but more famously in the region between the towns of Haarlem and Sassenheim which are about 20 km apart. 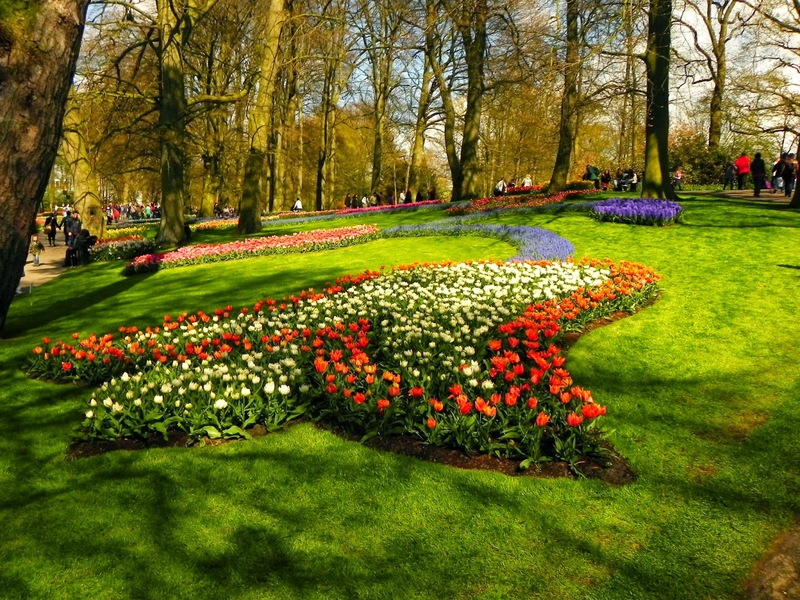 Keukenhof is situated on 15th-century hunting grounds around the town of Lisse. It was also a source of herbs for Jacqueline, Countess of Hainaut's castle, which is the source of the name Keukenhof (Kitchen garden). 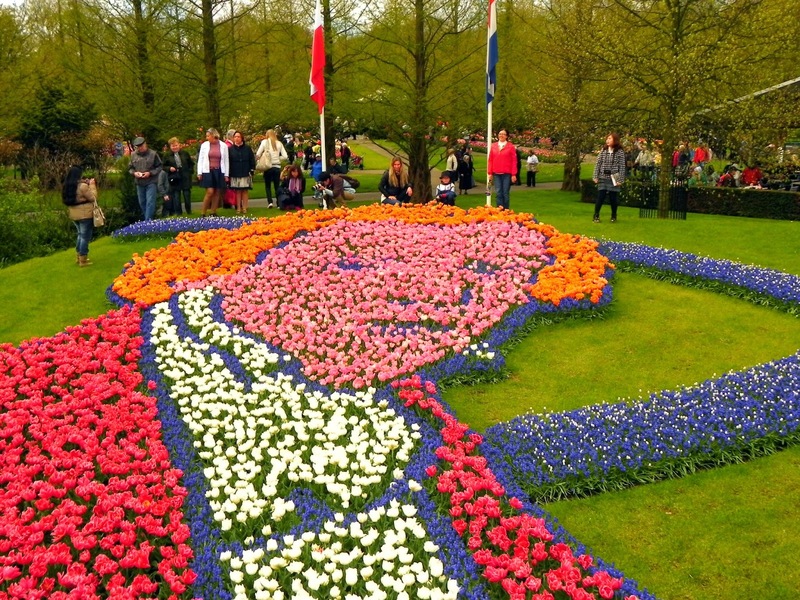 The garden was started in 1949 by the then mayor of Lisse. So we could not possibly miss the opportunity to view this wonder in full bloom. But the problem with these flowers is that they remain in full bloom for just one to two weeks and then fall off or are harvested. 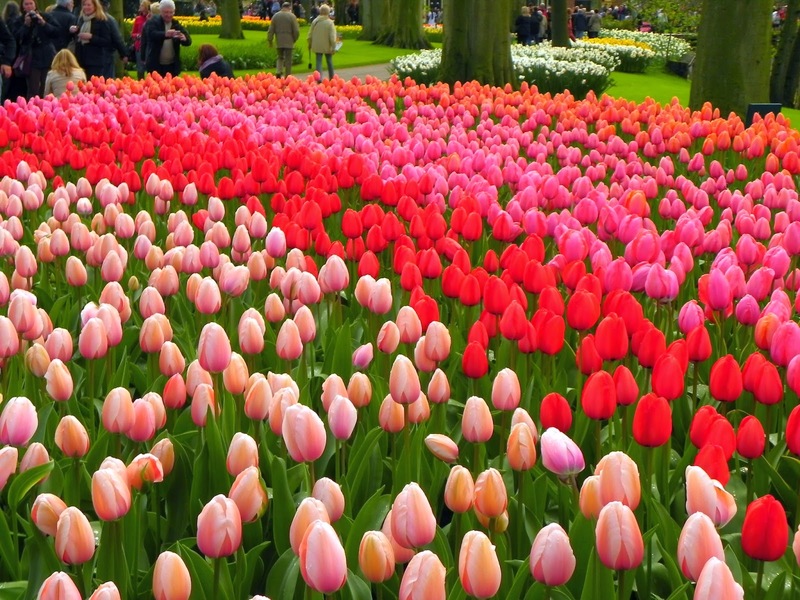 Thus picking the ideal time to visit the garden and the tulip fields around it was very important. I must say that Mitra and me became almost pseudo-cultivators by reading up on the internet and calculating the actual time of flowering of the tulips, and its dependence on the temperature, pattern of seasons, rainfall amount, the rotation of the earth and cosmic radiations. 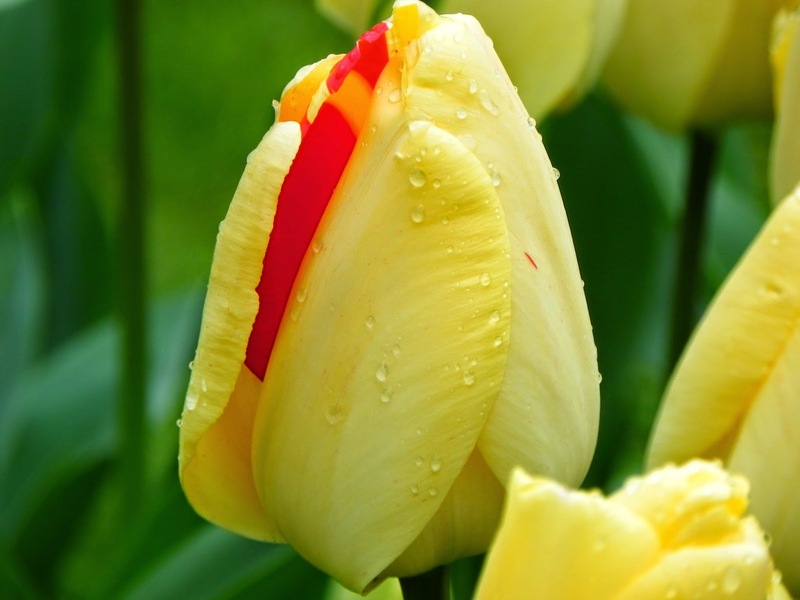 Well, not exactly the last two but even without them we realized that the tulips roughly flower from mid April to early May with some varieties flowering in the earlier part and some in the later part of this duration. This the last week of April would be an ideal time to visit which assures viewing most of the plants in full bloom. Another problem in Netherlands is its hardly ceasing rain and we had to be lucky to find a rare sunny day within that duration. Voila thus said and calculated, we found 21st April, 2012 to be the ideal day for our visit. 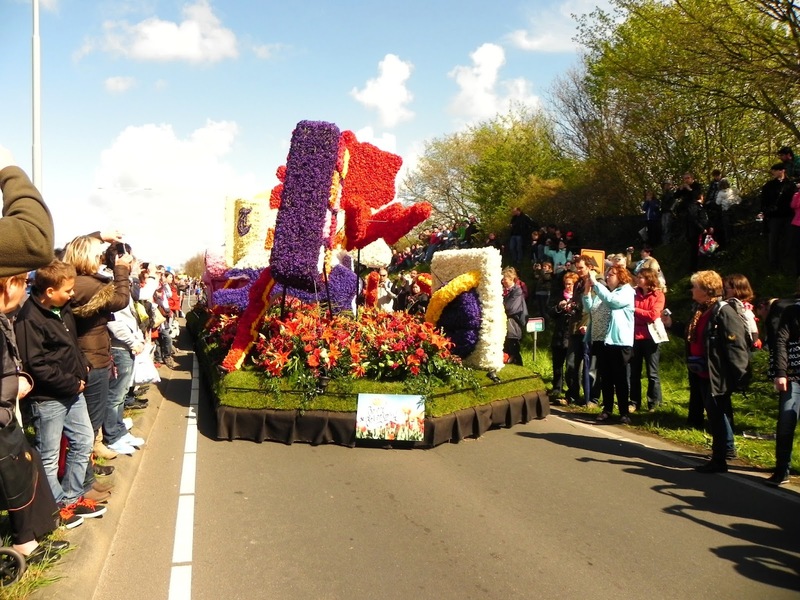 There is an annual flower parade in Netherlands where floats richly decorated with flowers drive along a 42 kilometer route from Noordwijk to Haarlem and passes through Lisse. For that year it happened to be on this very day and thus it proved to be really ideal for our visit. With over 7 million flower bulbs and 32 hectares of land, it is the largest flower garden in the world. It is situated about 32 km south-west of Amsterdam and is accesible by bus from the stations of Haarlem, Leiden and Schiphol. 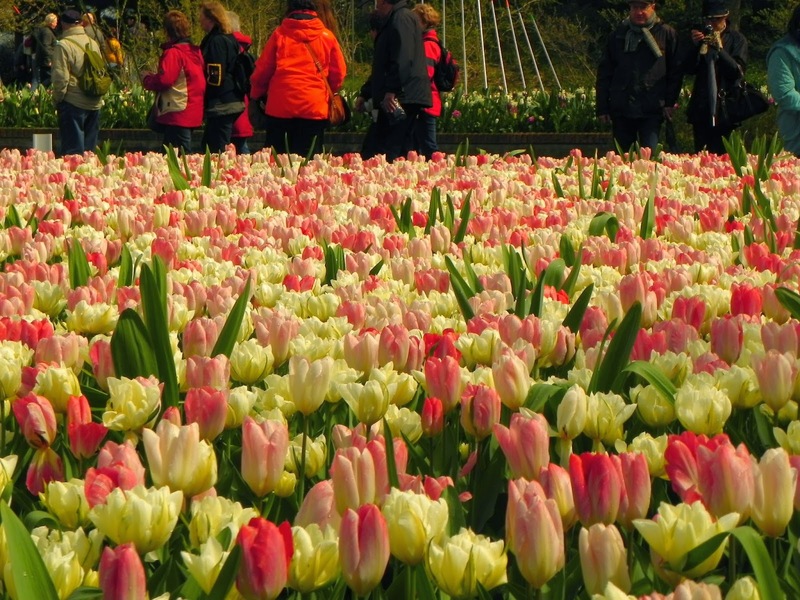 It opens every year from end of March till mid May and almost a hundred growers and exporters of flower bulbs showcase their very best flowering bulbs at Keukenhof. Every year a particular theme is chosen for the garden and special exhibits are dedicated to that theme. That year the theme was Poland and thus was created this huge bust of the polish composer Frederic Chopin. 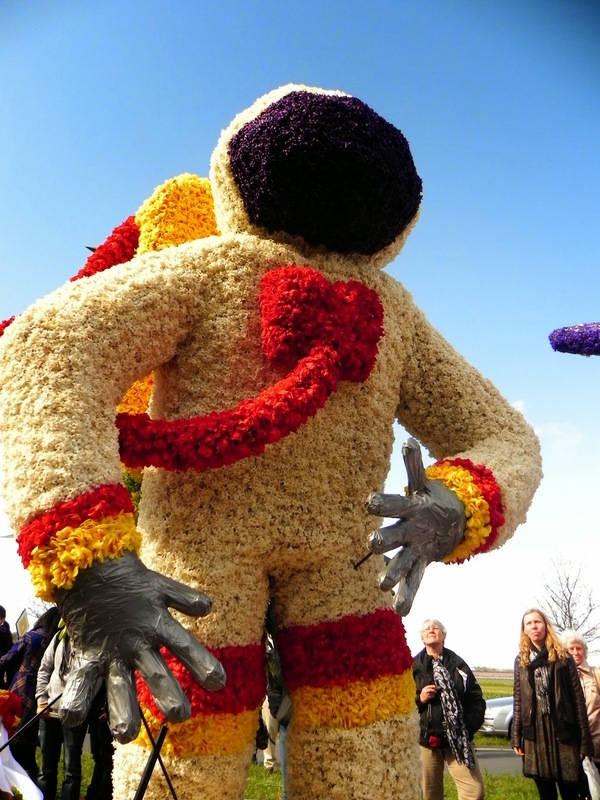 One of the symbols of spring in Netherlands is the flower parade called Bloemencorso and lasts for 12 hours. 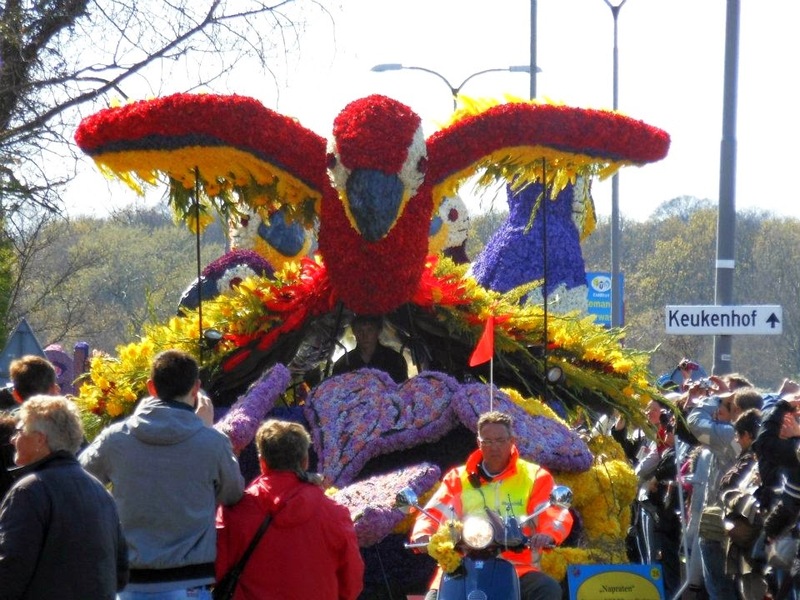 On Friday before the start of the parade the floats are decorated at Noordwijk and is exhibited at the village center. 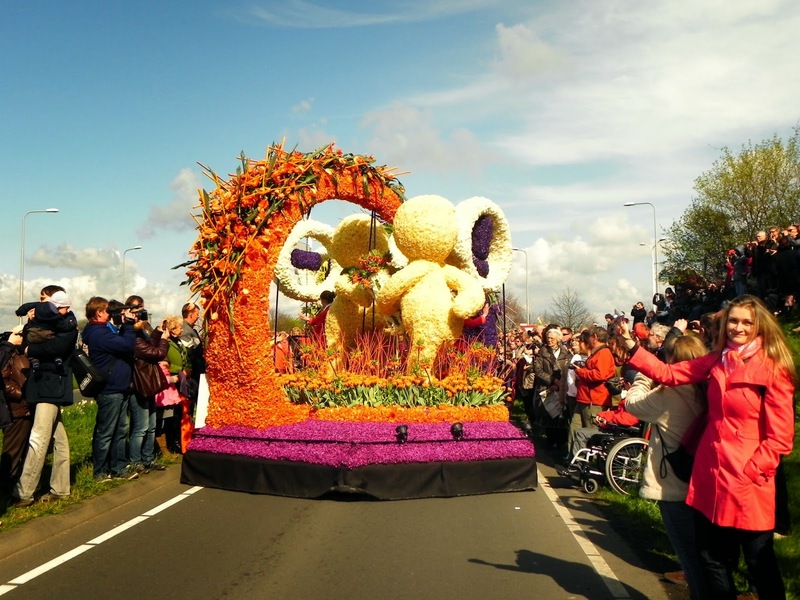 The parade starts early morning on Saturday and more than 30 floats, decorated cars, jugglers and dancers all dressed in flowers makes its way traversing Netherlands at a leisurely pace. The parade ends on Sunday evening and the floats are exhibited for the rest of the evening at Harlem. 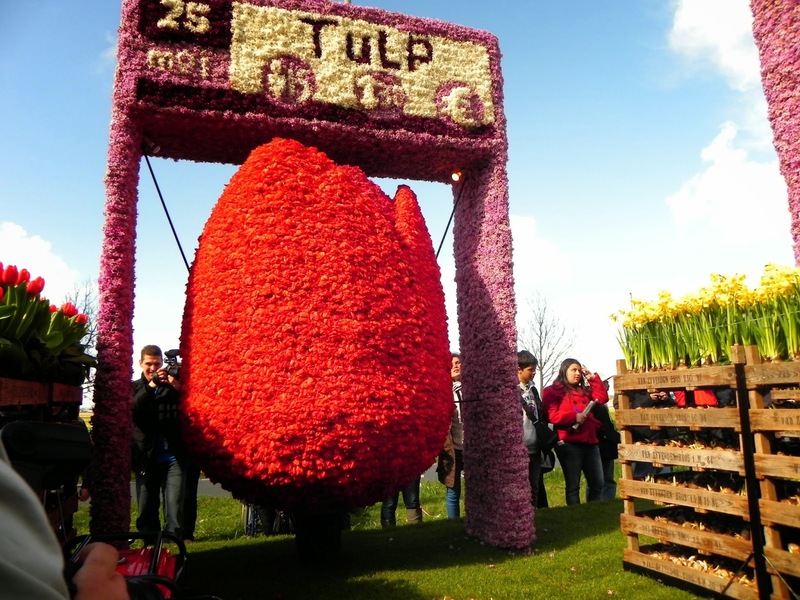 The parade passes through Lisse on Saturday afternoon and it is permitted only for this day, to leave Keukenhof during the parade and enter the garden once again after the parade has rolled away, using the same tickets. 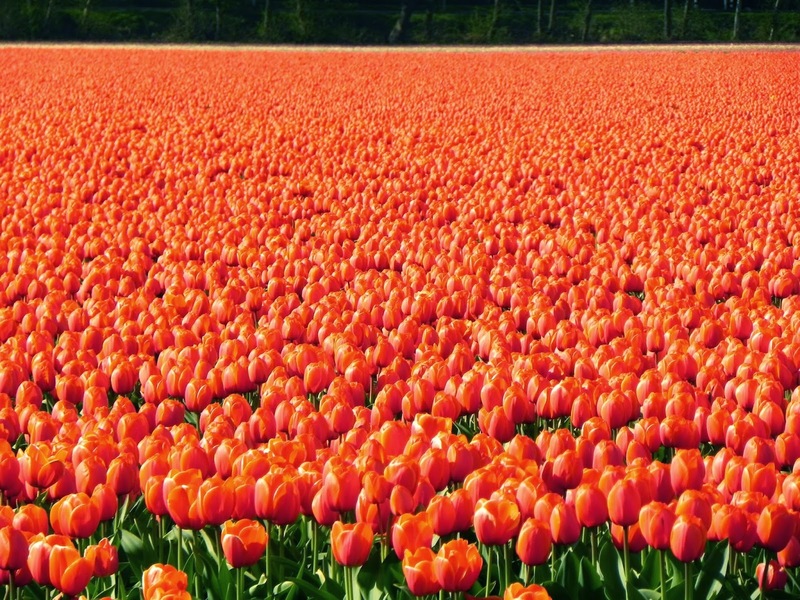 The country side around the Keukenhof gardens is even more amazing with vast seas of tulips spreading till the horizon. 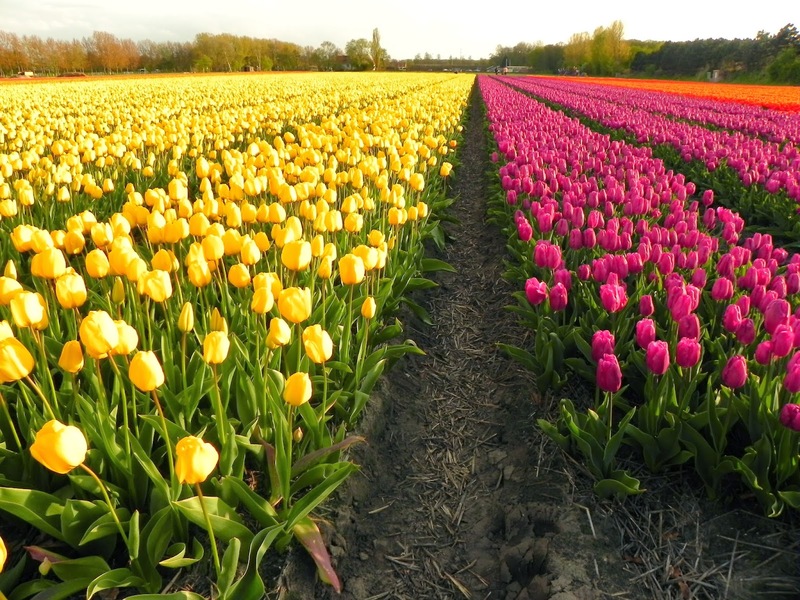 Tulips fields with different varieties and colors juxtapose each other giving the landscape a look similar to an impressionist painting. 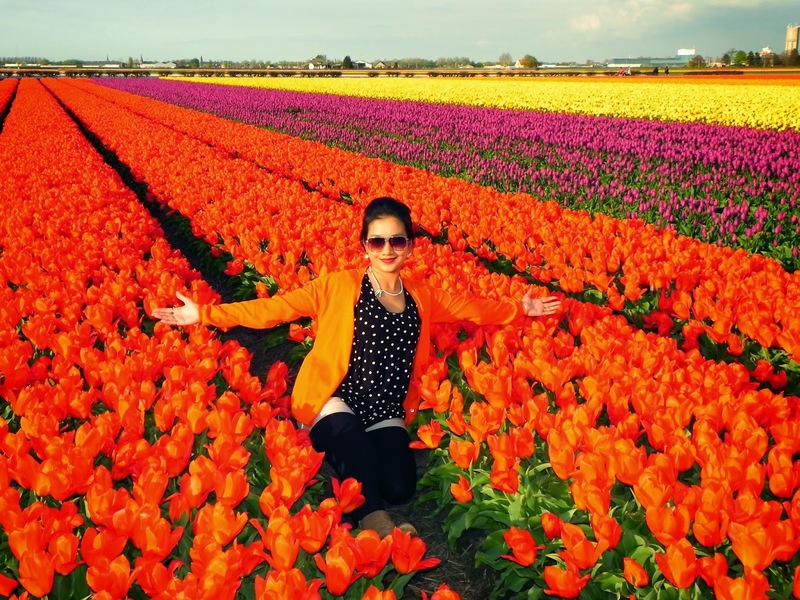 We went back the following week to Lisse and soon lost ourselves in the myriads of colored tulip bulbs and it surely was one of our most cherished trips during our stay in the Netherlands.